WEST LONG BRANCH, New Jersey (WABC) -- Police in New Jersey are searching for a woman caught on camera stealing a Donald Trump flag off someone's porch. Detectives in West Long Branch in Monmouth County released surveillance photos Thursday, asking for the public's help to identify the woman. 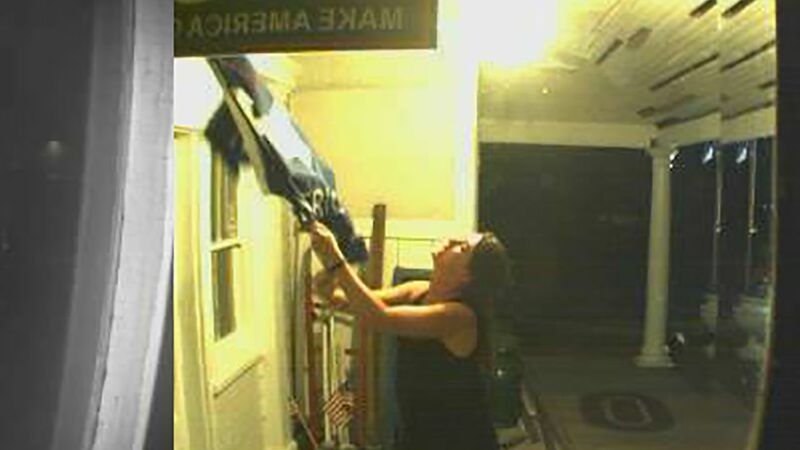 The photos show the woman ripping the flag off the wall. It's not clear when the theft occurred, but it appears to have happened on a resident's porch at night. 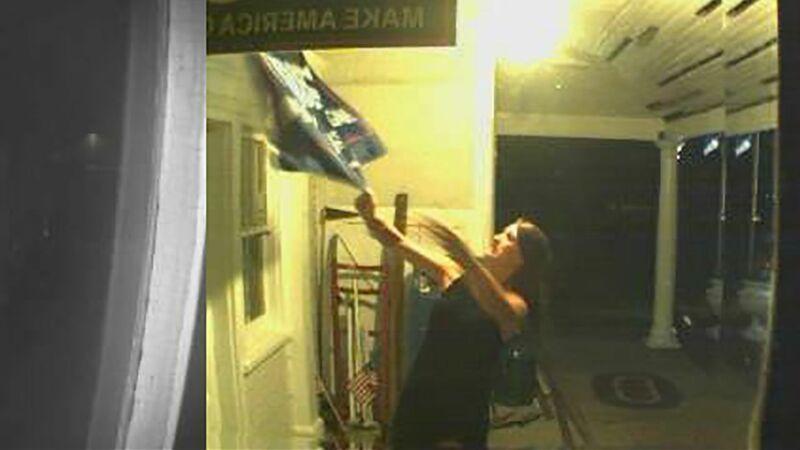 Anyone with information about the woman in the photos is asked to contact police at 732-229-5000, ext. 251.